FIRST CLASS IS FREE!! So you can see how we work! To get you first class, you only have to fill out our waiting list with very basic information about you, your child and your interests. These classes are exclusively organized among the participant families. We keep the instruction 100% in Spanish and we follow an educational program tailored for each group of age in an informal way. 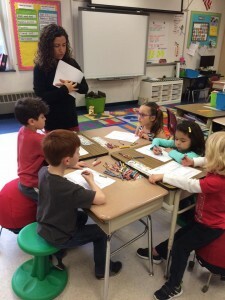 Based on the concept “One family, one class,” every family is responsible to organize a class when it is assigned to, following certain guidelines and structure. This involves to lead the class and prepare the class material. 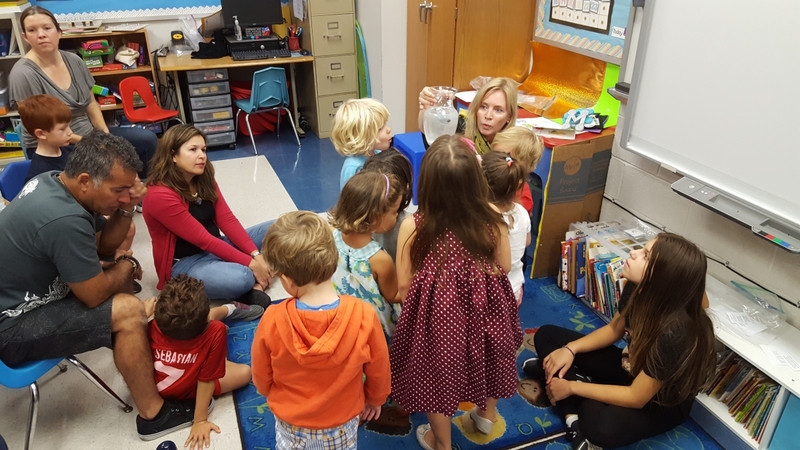 The purpose of this class is to immerse bilingual children in a 100% Spanish environment where they can improve and enhance their language skills. Children are encouraged to speak only in Spanish to get more comfortable with their heritage language and feel proud about their roots. Parents are encouraged to include their culture diversity in the organization and preparation of the class and events. O to 3 years old: In this group we teach the children popular songs and basic vocabulary like colors and shapes. Babies and toddler have fun with songs, rhythms and games while Spanish is introduced. 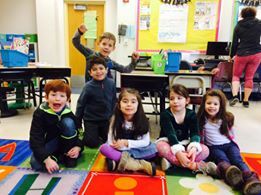 3 to 5 years old: In this group we set the base to introduce the children to read and write in Spanish. We teach them basic grammar concepts and new vocabulary through games, storytellers, songs and exercises to develop and improve their fine motor skills. 5 to 7 years old: This group is focused on enhancing the children’s vocabulary and speech while we introduce them to reading and writing. We understand that the first years of life are critical for children to develop the necessary skills to assimilate and speak their heritage language. Many bilingual children end refusing to speak Spanish because they are mostly immersed in an English environment. They feel different too because they have a cultural and language mix they cannot find among their friends at daycare or school and they see it as a barrier to be accepted by their social group of reference. They have the risk to end being passive bilingual. That means that they can understand their heritage language but they barely speak it because they did not practice it enough. In Bilingual Families of SJ we nurture a social environment where our children can feel comfortable speaking and learning their heritage language because there are in the same class with other bilingual children like them and they have the support of a strong community that makes them feel confident about their language and their roots.